RL Studio, (a brand-new lighting design studio affiliated with Regency Lighting) recently worked with Heitler Houstoun Architects (HHA), to design complex lighting solutions for New York City’s newest holistic wellness center—Clean Market. HHA enlisted the aid of Erin Gussert of RL Studio to design lighting that complements Clean Market’s varying structural textures such as stone, wood and frosted glass. In addition, as a holistic, wellness center, lighting could not interfere with services provided: full-spectrum infrared saunas, cooling cryotherapy chambers, and tranquil spa-therapy rooms. “I loved how the retail wall turned out. The frosted glass looked gorgeous with the C6R grazer on it. The idea was to frontlight the product and backlight the wall. It created light that bounced off the gold of the products and made for a unique retail space, because when you are in it, you can read all of the products,” shared Erin Gussert, Senior Lighting Designer. Designing illumination around existing architecture also presented unique challenges, as innovative ideas were modified to avoid structural pipelines and other limitations which could impede the visual separation of retail, market, tonic bar and spa services. “Tempo’s C6R 10 x 60 fixtures were selected for use throughout the project specifically for the varied functionality. These light fixtures allowed us to design creatively while maintaining IES protocols and safety standards,” stated Gussert. Most intriguing was planning for the use of illumination in the sauna rooms, as they incorporate full-spectrum infrared lighting to promote overall immunotherapy. 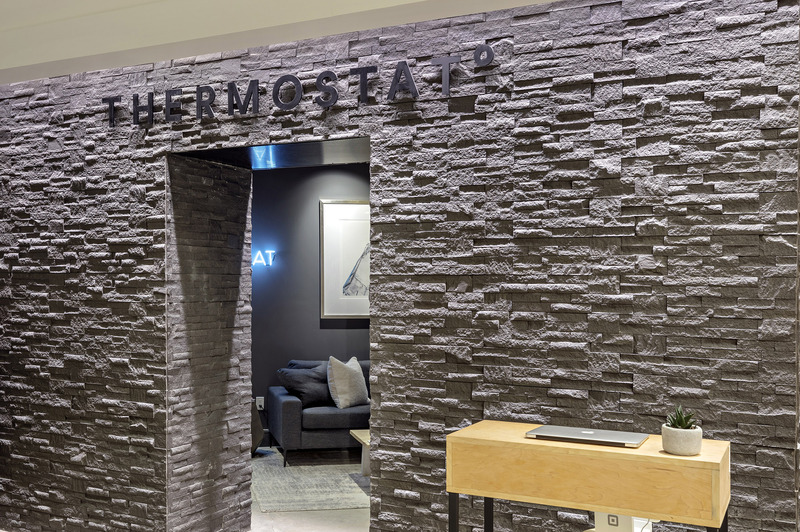 “The sauna rooms use color therapy lights to affect mood, so we needed to provide indirect lighting that enhances texture while minimizing the light effect upon the service being provided,” explained Gussert. The flexibility of Tempo’s product features played a critical role in designing without limitations, resulting in an upscale, contemporary wellness space. Please visit our C6R product page for more information on the flexible features of our LED serpentine lighting fixture.